People – The human face of an organization, are its most cherished and valuable resources. In a world of multiple choices and multi-faceted people, you need someone to reply on for selecting employees. To provide you quality services that can cater to all your human resource needs at one go. 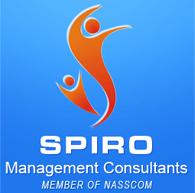 Spiro IT Academy offers competency-based IT training programs in more than 15 cities across the India, Malaysia and the Singapore, covering over 40 IT subject areas. These programs are designed with one main goal ­ making sure you and your staff will be competent and productive.